In 2018, we're set to see a rise in pearl designs as latest trends show that this gemstone is now being celebrated with the use of statement designs, colours and irregular shapes. Pearls have always been adored for their natural beauty, providing a feminine and elegant touch in jewellery but now we're seeing an experimental side, with exciting modern styles. Vogue is telling us that pearl chokers, headbands and embellished collars are something to look out for this year and we can't wait! 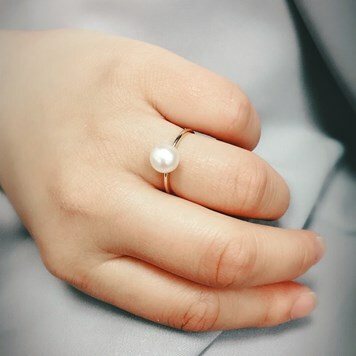 The pearl we'd recommend using to recreate the pearl ring featured would be our cultured freshwater half drilled white pearls, having a slightly flat back makes them great for turning them into earrings or ring settings. We've been seeing more and more big and bold designs, this includes pearl earrings, pendants and rings. This look is something to take notice of and we've got the perfect large pearls to help you create something beautiful. The beads are large in size, making them perfect for creating statement pieces to make your designs stand out. 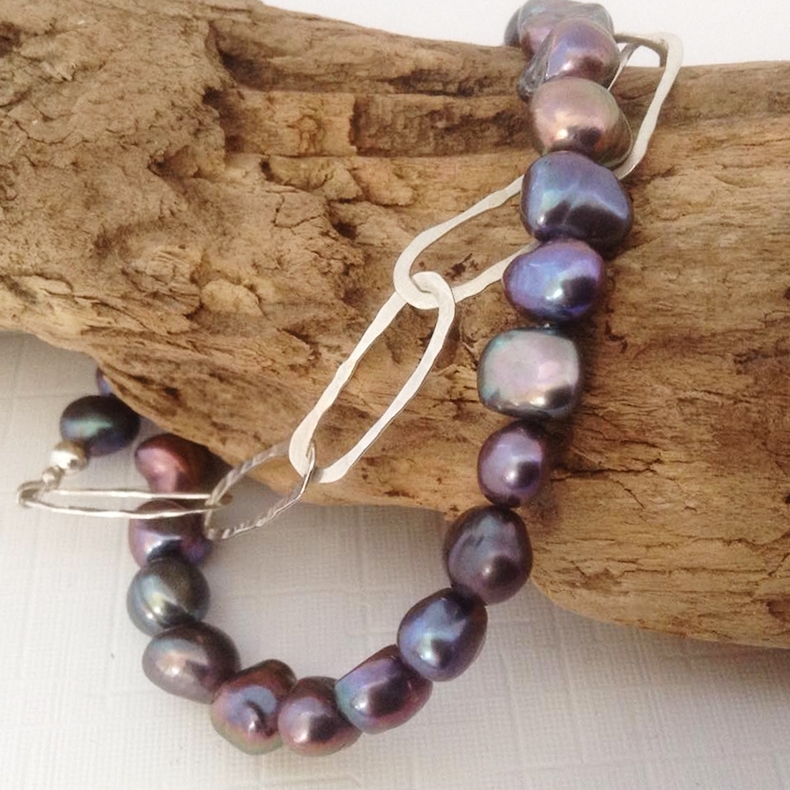 Why not try our chunky pearl bracelet design by following our online tutorial? 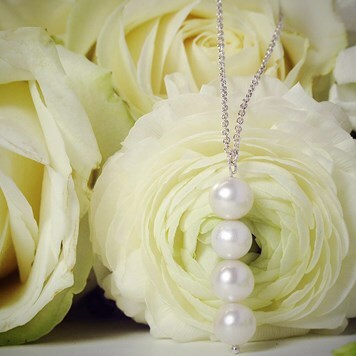 The classic white pearl, continues to take centre stage with feminine designs becoming increasingly popular - if you're more of a minimalist, don't worry as the traditional pearl look isn't going out of style, a single pearl can be used to create a simple, feminine yet statement design. 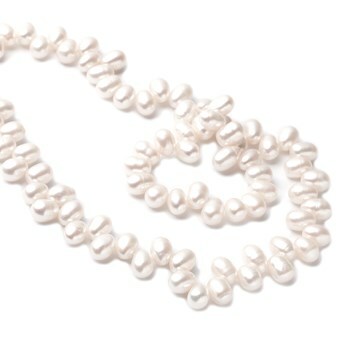 For a traditional, large pearl for your handmade designs we would recommend our cultured freshwater white pearls, with our largest measuring at 9mm. 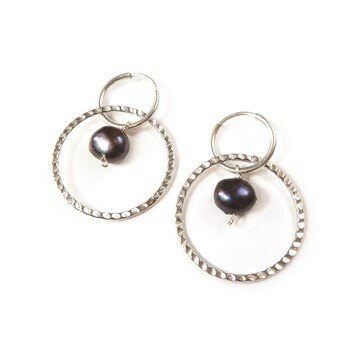 Don't forget to check out our cultured saltwater pearl cabochons which can be used to create a lovely statement ring. 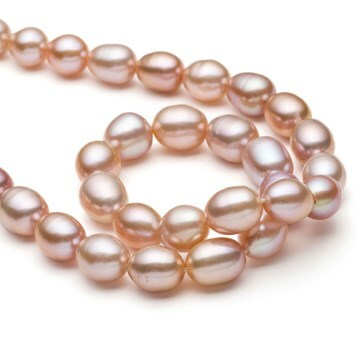 These big and beautiful cultured freshwater rice shape pearls are a lovely natural shade of pink. 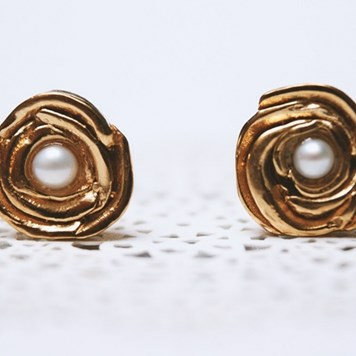 Measuring approximately 11.5x9.5mm, they're a great choice for wedding jewellery or a bold everyday design. 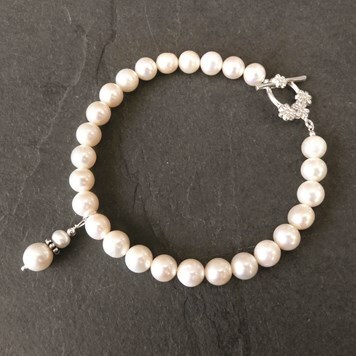 Follow our online jewellery bracelet tutorial using cultured freshwater white pearls, perfect for a bride or bridesmaids. We also love the added floral touch with our sterling silver toggle clasp. These pearls are teardrop shaped, a brilliant quality and have an amazing lustre you'll just fall in love with! They measure approximately 10x7mm and are head drilled from side to side, making them great for necklaces and bracelets. 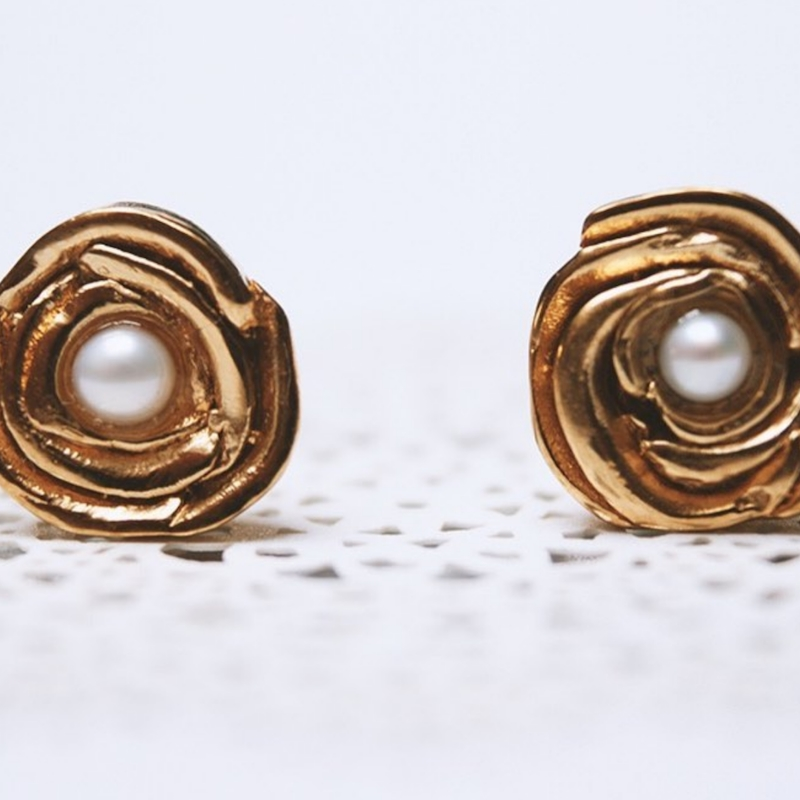 Vogue has recently talked about the uprising of baroque pearls, as seen on spring and summer runways, making these designs one to keep an eye on. But what is a baroque pearl? They are pearls that are irregular and unusual in shape, making them ideal for unique jewellery designs. They also come in a range of colours and sizes - see below a range of semi-baroque pearls in a range of colours from pistachio, ice blue to peacock. We just love the natural shapes and spectacular lustre these pearls offer. With Pantone's Colour Of The Year being ultra violet, purple is causing a stir in the jewellery world. Lavender is also making an impact and has been popping up across the fashion world from the likes of Victoria Beckham and Michael Kors. It's predicted to become a hot colour in spring and summer months and we can't wait to see them in future jewellery designs. Below we've chosen our lilac potato pearls for those romantic designs and also peacock pearls which we're sure will be making a big appearance in 2018. What will you create? Check out these cultured freshwater lilac potato pearls, a lovely choice if you're into adding a pop of colour. 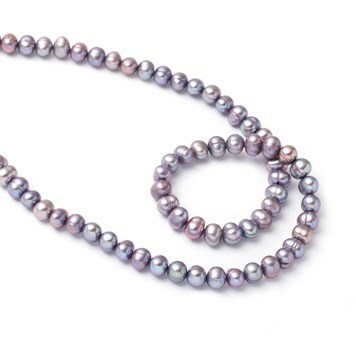 We just love the soft lilac and metallic lustre these pearls bring. This online jewellery earring tutorial features our beautiful cultured freshwater peacock potato pearls. They have been treated to give this metallic lustre and each pearl is unique. 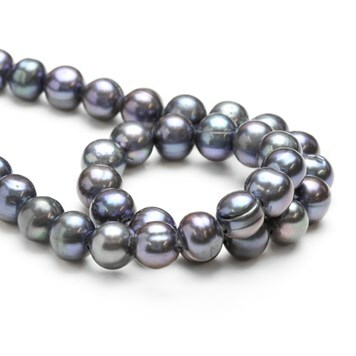 These cultured freshwater peacock pearls have large holes, and reveal lots of stunning colours from purples, blues, greens and pinks. We especially love the surface rings created during the pearls development. This quick and easy project is ideal if you're just starting out in jewellery making or you're after something for a special occasion. 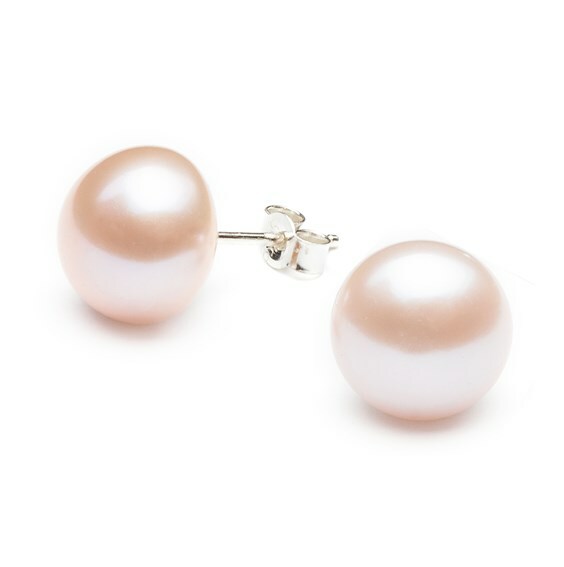 These cultured freshwater blush pink pearls have a gorgeous peach colour and measure at 10-10.5mm, making them great for a statement earring. A great spring look! 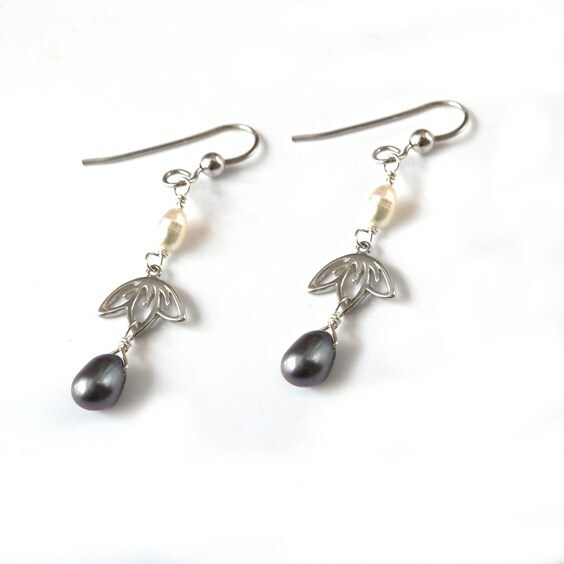 These cherry blossom earrings feature our cultured freshwater rice shape peacock pearls. 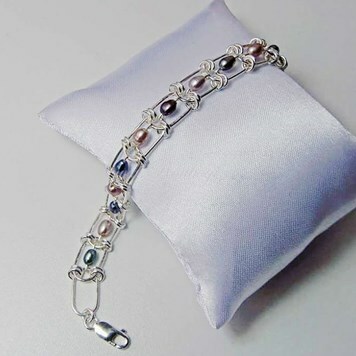 These are limited edition at Kernowcraft, offering a wonderful lustre with colours of purples, blues, greens and pinks. A great gemstone to use for wire-wrapping designs! 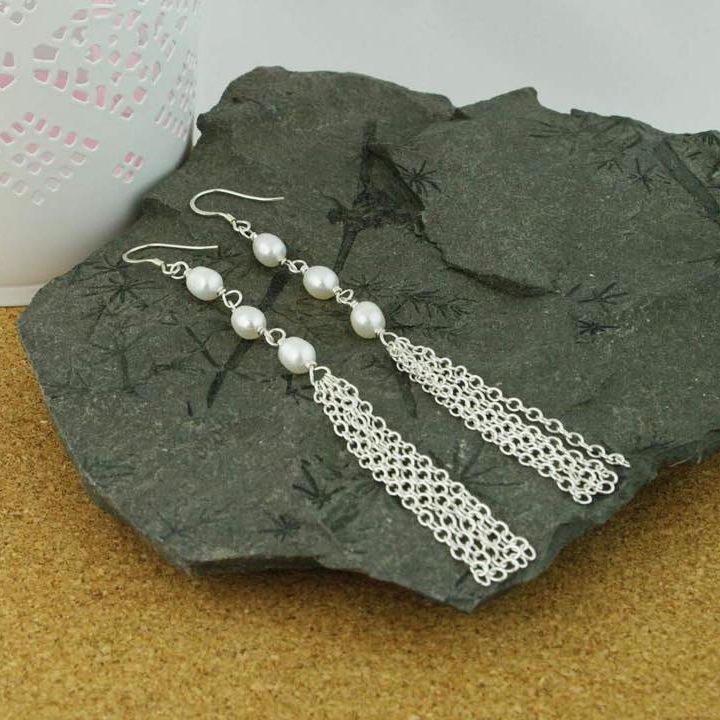 Check out Kernowcraft's customer creations using pearls. We absolutely love the big and bold designs, with the added element of colours to transform the classic looking pearl into something more unique and modern. 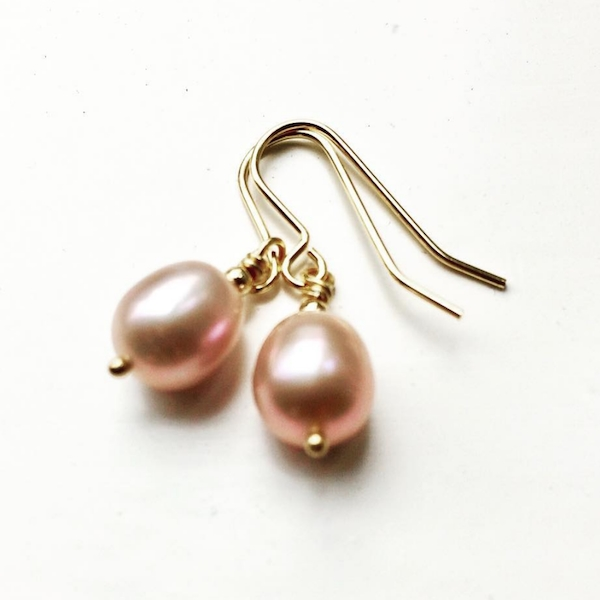 Trzpoitkajewellery always inspires us with her bold designs using pearls, these vintage rose earrings feature tiny freshwater pearls. We also love how this design captures the Victorian Era but transforms it into a modern look. Morgan's Jewellery is way ahead of the game with these baroque pink blush pearls, adding a touch of femininity with sweet soft pinks complimented by the gold. Another stunning design by trzpiotkajewellery, we can't wait to see more detailed designs in 2018 with the use of combining gemstones. This intricate design features pearls, sapphire, aquamarine and tourmaline. We asked you to share your handmade pearl jewellery designs over on Kernowcraft's Facebook page and you blew is away with stunning designs. 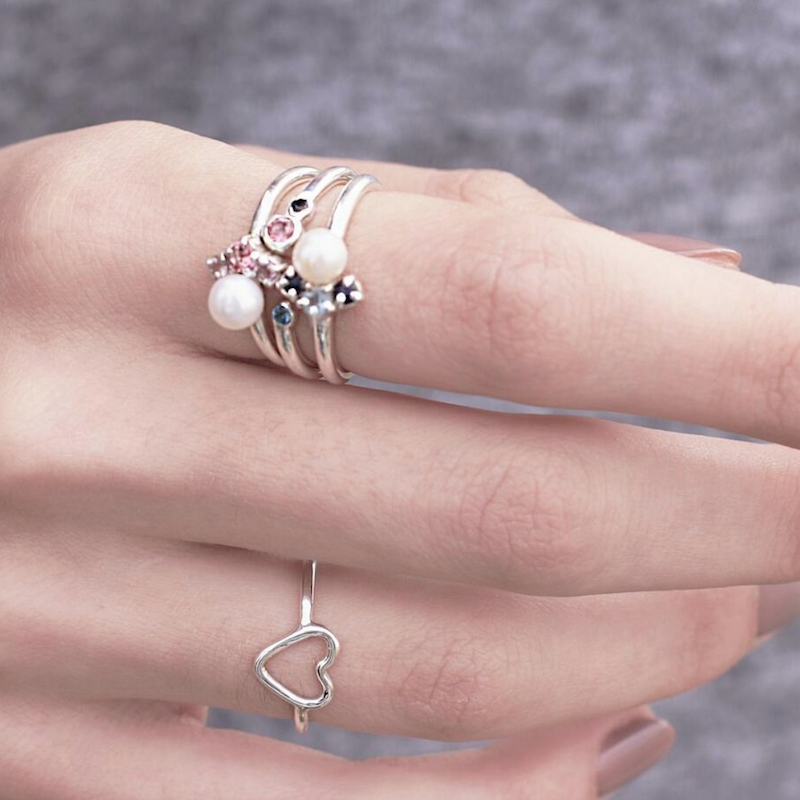 See below our favourites, which also work well with what's trending in the jewellery world. We can't wait to see more bold designs using colourful pearls. Follow us on Facebook, Instagram & Twitter for a chance to feature! I love working with pearls. 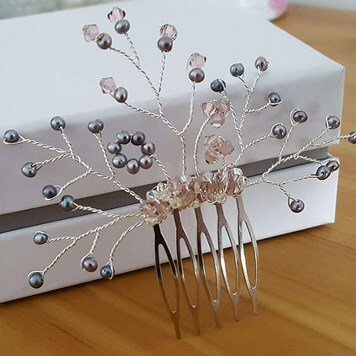 I make bridal hair accessories & jewellery. It was really hard to chose just one photo, but here is a commission for the mother of the bride for a wedding last year. 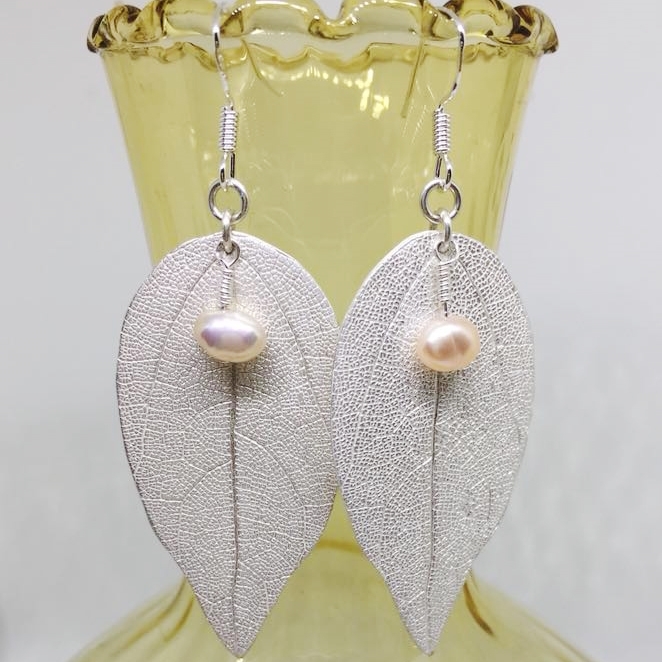 Freshwater pearls on these silver leaf earrings. A commission using the bowl of a solid silver spoon cut in the shape of a heart with a pearl. 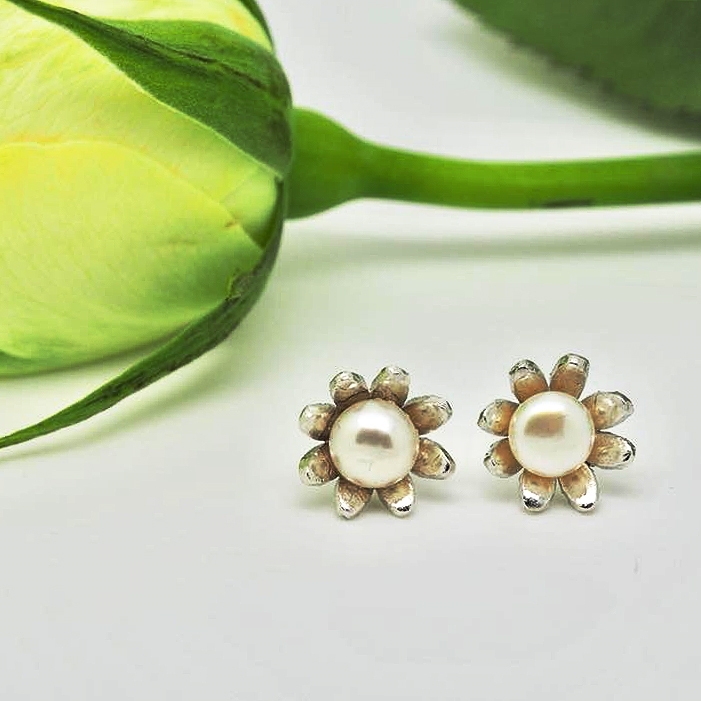 Fine Silver Daisy studs with pearl. Made this pearl bracelet a little while ago - really sat well on your wrist. My client loved it. Shoulder dusters - simple collaboration of pearls and sterling silver. 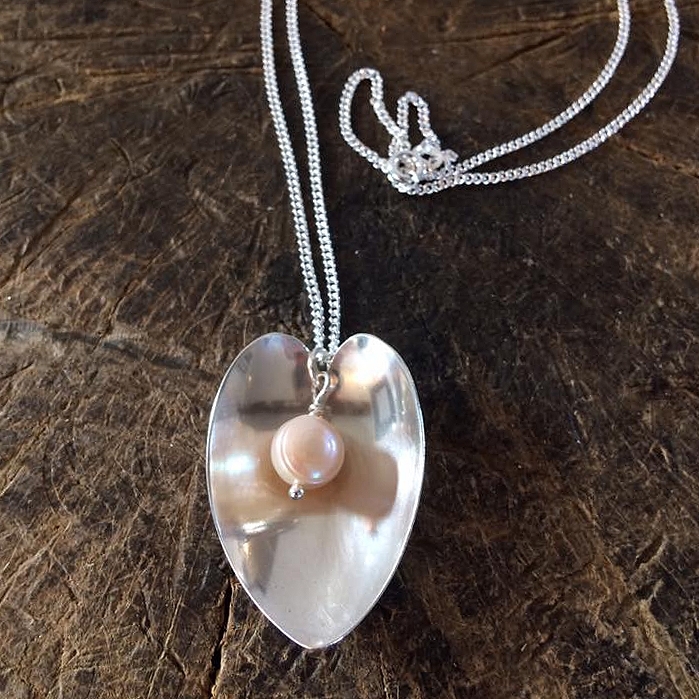 We love this pearl pendant by Millie Burke, a lovely bold look with that feminine feel. 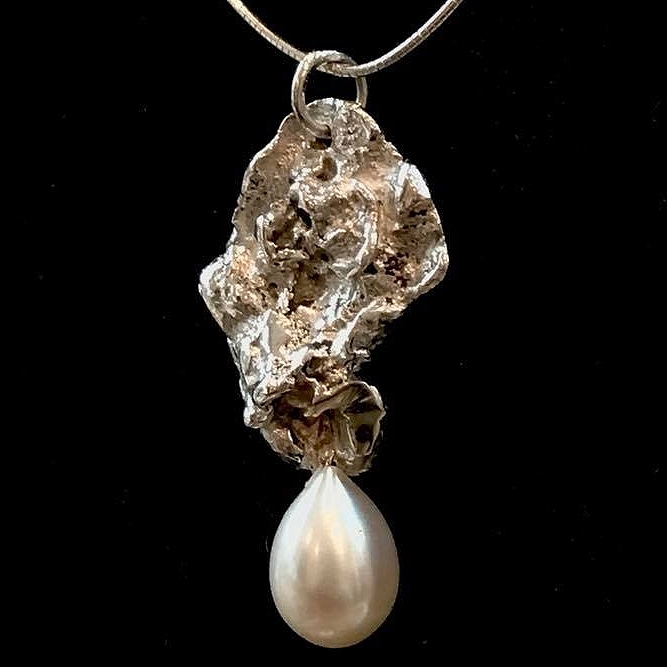 Water cast with large cultured pearl drop.